Back in 1999, I got into the Pokemon craze. 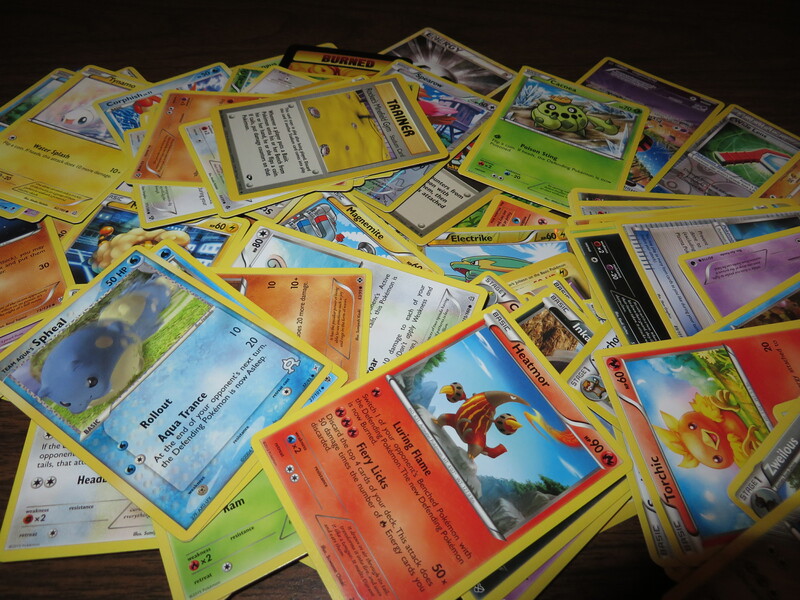 I played Pokemon Red Version on my Gameboy, watched the TV show, and starting building up a card collection. I devised a deck focusing on psychic cards, and I would battle other kids in Pokemon matches held at my local bookstore. 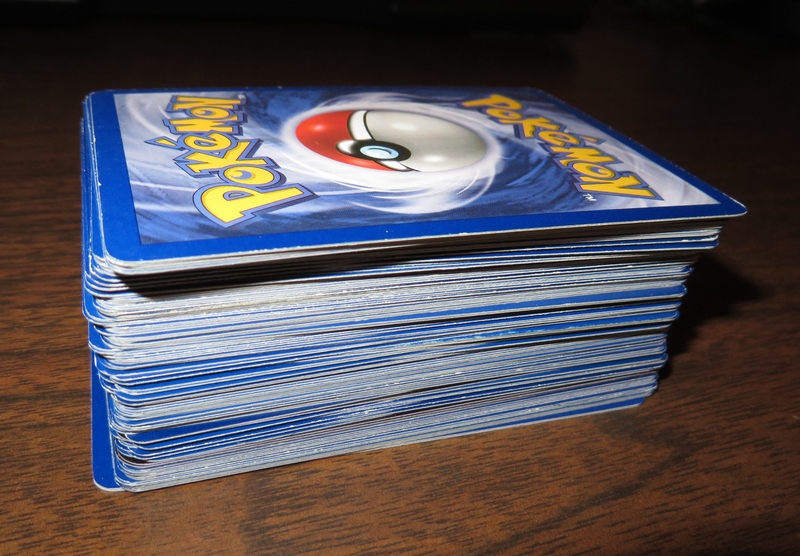 Because of my early love for Pokemon, I am glad to revisit my old hobby by adding 100 new cards to my collection, through Golden Groundhog’s 100 assorted Pokemon card lot. The set also includes six random foil cards and three Golden Groundhog token counters. Since I have been out of the Pokemon loop for quite some time, I did not recognize the vast majority of Pokemon included in the deck, though this set did feature some lovable classics, including Pikachu, Butterfree, Mareep, two Togepis, and a foil Spearow. However, I also enjoyed acquainting myself with the newer Pokemon, such as Skitty, a Normal type with the moves Heal Bell and Tail Whap. The cards have a miniscule amount of weathering on the edges (see picture below). This not a big deal to me, but for players who are intent on collecting cards in flawless condition, this may be important to know. Other than that, I found no problems with the deck, and looking through these cards has been a really fun experience. I think it’s time for me to play Pokemon again! You can check out the card lot here on Amazon.